Waterford students and parents can sign in to Naviance here. Percentage of Waterford graduates accepted into competitive colleges and universities. Over 70% of graduates in the Class of 2016 attended out-of-state-colleges and in the past 5 years, Waterford students have matriculated to 110 different colleges and universities. The college search and application process is one of the most exciting and anxious times in a student’s life. Just as Waterford faculty and coaches have nurtured students’ intellectual, physical, and moral development, the Waterford School College Counseling Office guides, supports, and serves as an advocate for our students as they consider an exciting variety of undergraduate options. Recognizing that this transition is important both for students and their families, Waterford School has college counselors who have extensive experience in both secondary education and in college admissions and have developed a program to guide, educate, and encourage students to take responsibility for meeting deadlines and making important decisions. Waterford students have learned to write, read, discuss, and learn at a college level. They are prepared to excel at the nation’s most selective universities, and they are gaining acceptance to these institutions. 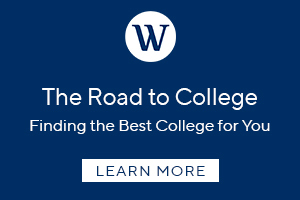 The most competitive colleges aren't the best fit for every student, however, and Waterford college counselors help find schools nationwide that are suited for the individual goals of our students. Working with 25-35 students each, our counselors are able to give personalized attention in every aspect of the college preparation, search, application and decision-making process. Waterford's counselors visit colleges nationwide and attend the National College Admissions Conference every year. Students are motivated, interested and focused on continuing academics and opportunities at the highest level.